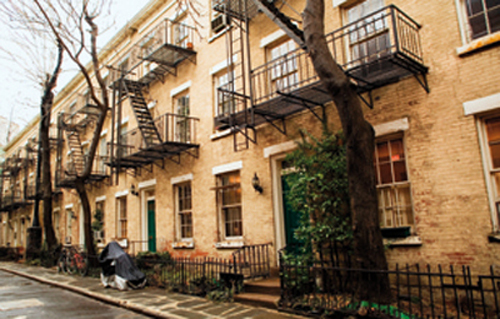 Begin at Washington Square and the elegant townhouse row where Edith Wharton and Henry James once lived. 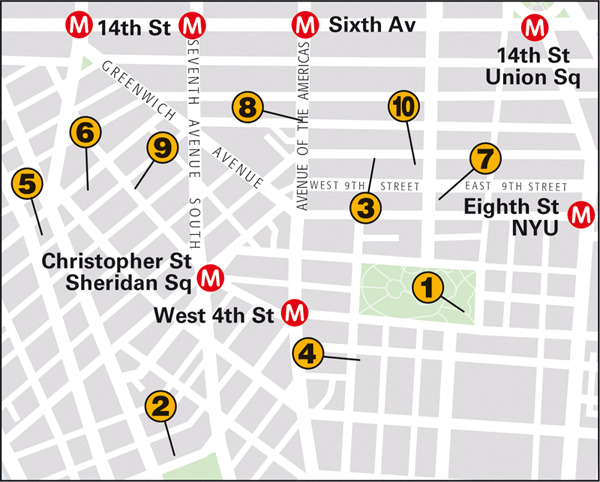 Find the charming houses of Washington Mews and MacDougal Alley , then follow 6th Avenue, past the Jefferson Market Courthouse, to West 10th Street. Stroll down the passageway at the front of the Alexander Onassis Center for Hellenic Studies. This walkway once led up to the Tile Club, a gathering place for the artists of the Tenth Street Studio, where Augustus Saint-Gaudens, John La Farge, and Winslow Homer lived and worked. Continue along Waverly Place, Grove Steet, and Bedford Street, each with its share of prize townhouse architecture. Have lunch at a typical Village bistro like Café Loup . you’ll find Forbidden Planet, a nirvana for comic book fanatics. 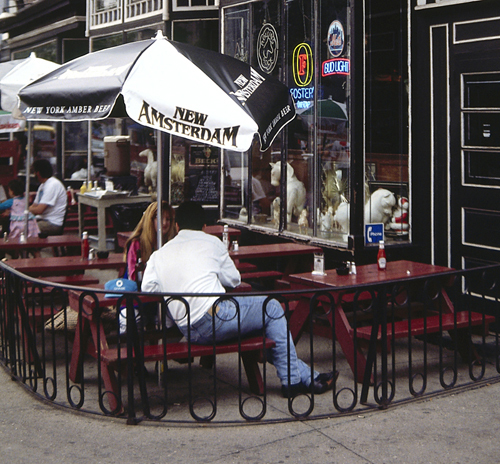 are also crammed with shops, and several coffeehouses are great for people-watching. 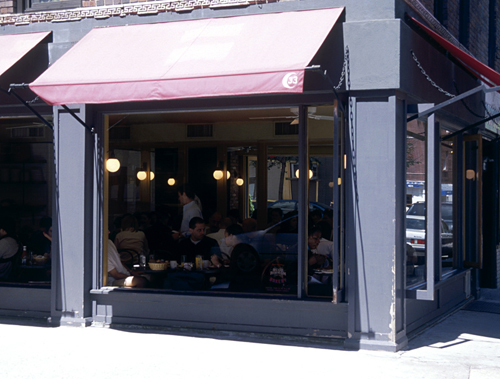 Try Caffe Reggio, 119 MacDougal Street, where the literary lights of the beat generation used to read their poetry. Prominent figures who lived here include Edith Wharton, at No. 7 in 1882. Henry James was born at No. 21 in 1843. Poet Marianne Moore lived here, and Theodore Dreiser wrote An American Tragedy at No. 16. 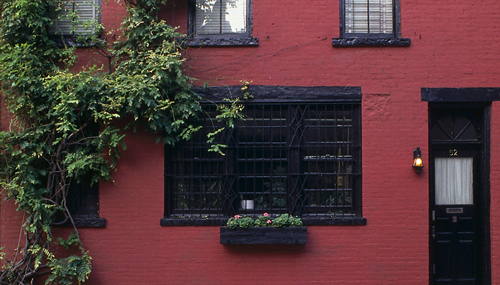 A charming pocket of 19th-century houses that later attracted E. E. Cummings, John Masefield, and Eugene O’Neill, among others. Beat poet Allen Ginsburg was a regular here, a venue that also saw early appearances from Bob Dylan and Jimi Hendrix. Favorite hangout of Norman Mailer and Dylan Thomas, who announced one night in 1953, “I’ve had 18 straight whiskeys,” and passed out. He died the next day. Willa Cather wrote six novels here and her Friday “at homes” were attended by the likes of D. H. Lawrence. A plaque marks the home (1904–08) of Mark Twain, designed by James Renwick, Jr., architect of St. Patrick’s Cathedral. Twain received guests while propped up in a huge carved bed. This was Styron’s first “tiny but rather nice” apartment after writing Lie Down in Darknessat age 23. Albee wrote The Zoo Story here. He first saw the words “Who’s Afraid of Virginia Woolf?” written in soap on a saloon mirror nearby. Mark Twain lived at No. 14 in 1900–1, Hart Crane at No. 54 in 1917, and Edward Albee lived in the carriage house at No. 50 during the 1960s. 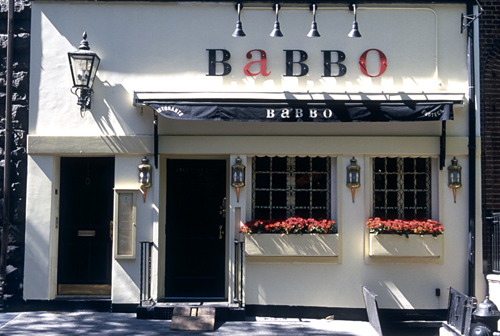 An attractive setting and the inventive Italian fare created by TV chef Mario Batali make this a very popular spot. Reserve in advance to ensure a table. Another top Italian. Quality is consistent, portions are large, and the brick-walled room is inviting. Try the homemade capellini with mushrooms, peas, and pancetta in a black truffle vodka cream sauce. Highly praised New American fare that uses local, seasonal ingredients, served in intimate, elegant surroundings. A casual Village favorite with an enormous, eclectic menu that includes everything from croissants and caviar to the signature fried chicken. Mussels and frites can’t be beat at this comfortable restaurant. Don’t miss the impressive selection of Belgian beers either. An agreeable French bistro, where favorite dishes include tuna carpaccio, steak, and pan-roasted tarragon chicken. The setting is romantic, but there’s also a funky bar. Watch the celebrities come and go from a table outside. The northern Italian fare here is consistent, and the buzz even better. Food like Mom used to make (provided she was a terrific cook) keeps this narrow café crowded. The patio provides a breath of fresh air. Hot, hot, hot is this straight-out-of-Paris café; order steak frites or escargots, and get into the spirit. The Japanese/Brazilian fusion cuisine and cocktails are inspired, but the trendy crowd comes here for the rooftop deck and live music on sunny days.